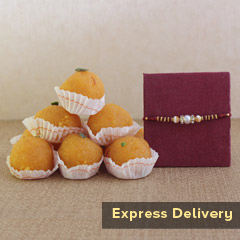 You must definitely be stressed, if you have not been able to send Rakhi to your dear brother. 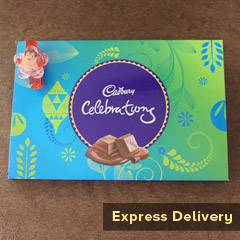 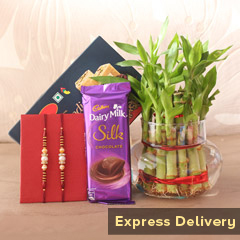 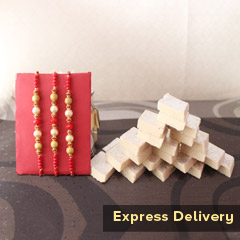 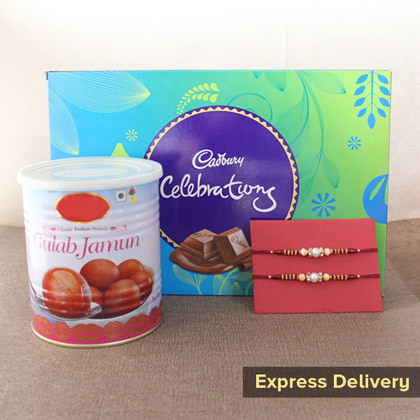 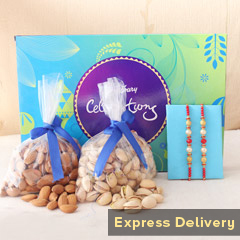 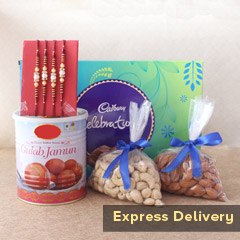 And, so we are here with our express delivery mechanism and this lovely combo of two Rakhis, sweets and chocolates and it will definitely make for a surprising celebration. 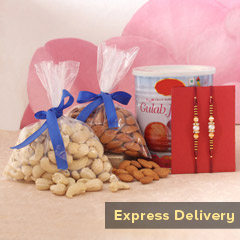 Just order to show your love!